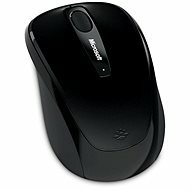 The Windows mouse button The Sculpt Mobile Mouse is an exciting new feature that works seamlessly with Windows. By simply pressing the Windows logo, the Start menu appears instantly to give you access to your favorite applications with just one click. The Windows button on the Sculpt Mobile Mouse is an exciting new feature that works seamlessly with Windows. By simply pressing the Windows logo, the Start menu appears instantly to give you access to your favourite applications with just one click. 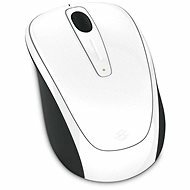 In today's modern, mobile life, Sculpt Mobile Mouse will always be at your fingertips to help you make presentations and communicate with your friends comfortably online. With the BlueTrack Technology, you can use it on almost any surface, and its compact design makes it an ideal tool for office and on-the-go work. With a classic shape and omnidirectional wheel, you can use the Sculpt Mobile Mouse with both right and left hand. Tilt the wheel to the left or right to easily move through a wide document or browse through the splash screen. Swipe left, right, forward and back with a four-way scroll wheel. Browse fast and efficiently through all of your projects. Press the Windows key to quickly launch the Start menu for easy Windows navigation. Classic round shape and design for comfortable use in both hands. The combination of compact design and wireless connection with the mini-USB port is ideal for travelling. Microsoft is a multinational corporation based in the United States. Microsoft products have had an indelible influence on our perception of virtual worlds since 1975, when Bill Gates and Paul Allen founded the company. The company is best known for its peerless software, including Windows OS and the universally used Microsoft Office suite. The company is gradually becoming more active in hardware as well - for example, with Xbox gaming consoles and Lumia mobile phones. For shipping to other EU countries visit this page Microsoft Sculpt Mobile Mouse Wireless, red. Für Versand nach Deutschland, besuchen Sie bitte Microsoft Sculpt Mobile Wireless Mouse, rot. Chcete doručit zboží do Česka? 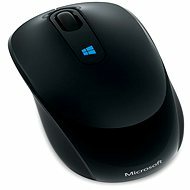 Prohlédněte si Microsoft Sculpt Mobile Mouse Wireless, červená. Chcete doručiť tovar na Slovensko? Prezrite si Microsoft Sculpt Mobile Mouse Wireless, červená. Für Versand nach Österreich, besuchen Sie bitte Microsoft Sculpt Mobile Wireless Mouse, rot. Magyarországra történő kiszállításért tekintse meg ezt a termékoldalt: Microsoft Sculpt Mobile Mouse Wireless vezeték nélküli egér, piros.